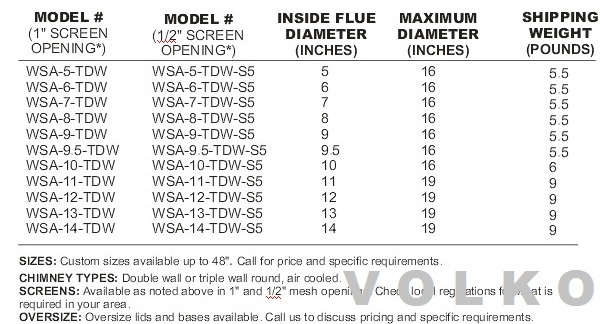 $125.50 - WSA-6-TDW-S5... 6 inch Air Cooled Weather Shield chimney cap with 1/2 inch spark arrestor mesh. Shipping Included. 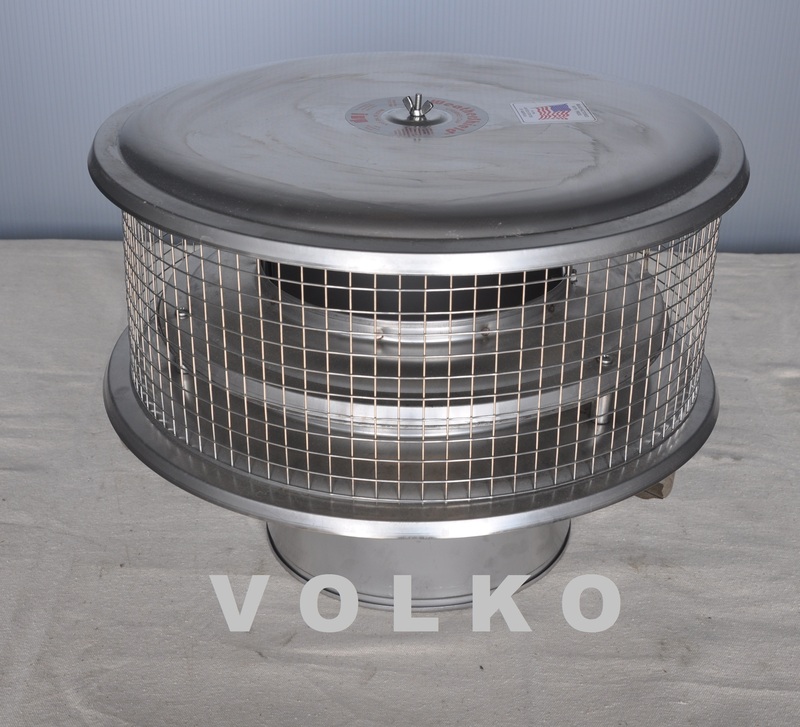 $127.50 - WSA-8-TDW-S5... 8 inch Air Cooled Weather Shield chimney cap with 1/2 inch spark arrestor mesh. Shipping Included. And remember, measure twice order once. 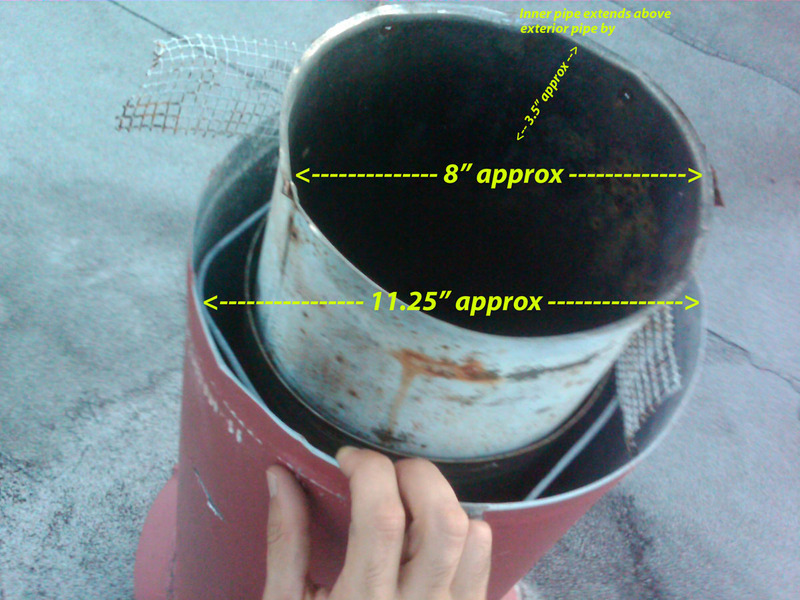 The Weathershield Chimney Cap is easy to install. 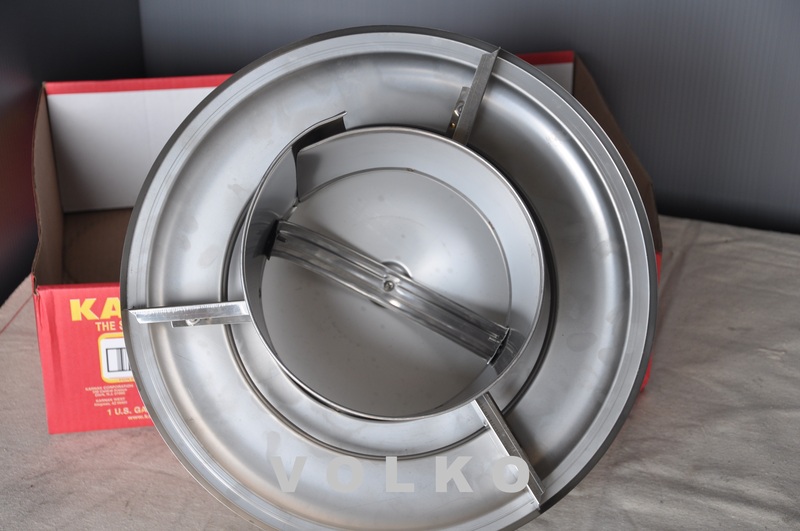 It fits directly into round flues. Square and rectangular chimneys require a stainless steel adapter that is adjustable and fastens securely to the inside of the flue. Chimneys should be cleaned and inspected before installation by a chimney professional and must conform with fire, safety and building codes. Installation instructions are furnished. The Weathershield does not need to be removed for annual chimney cleaning and inspection. Simply unscrew and remove the top cover and screen, tilt support, and brush directly through the Weathershield. 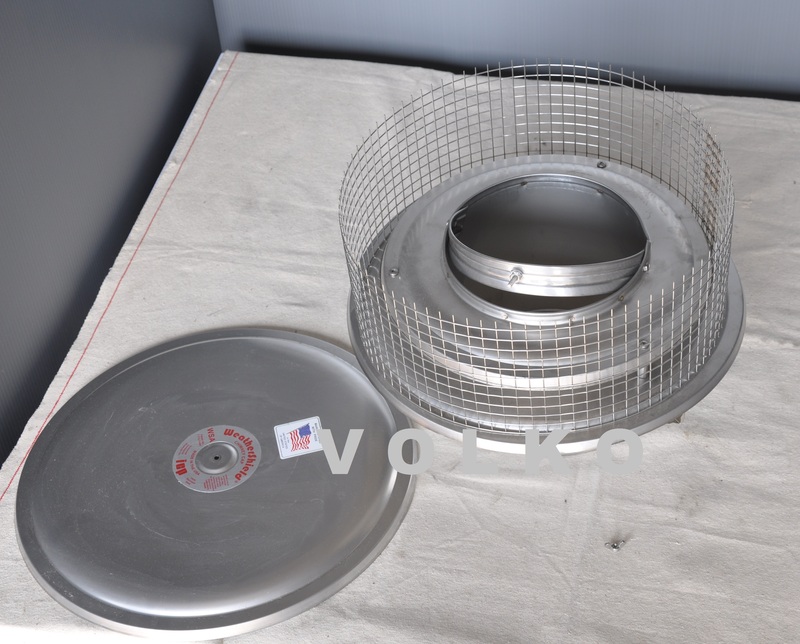 The top can also be closed against the bottom with an optional closure kit for sealing the chimney when not in use. Optional 1/2" screen and top supports are also available. DO NOT attempt to use a standard WSA Weathershield Cap with air cooled pipe. The inner pipe of an air cooled system is for smoke and flue gases. ... the larger surrounding outer pipe(s) will vary in size depending on the air space between the pipes and manufacturers design. An air cooled pipe system uses the air space as an insulation value. The more spacing between the pipes, the less heat to the outer pipe(s), and the closer one can build to the system.